(iii) (in wool combing) an overlooker q.v. in carding section of a wool combing establishment or department; cf. carder (363). an overlooker q.v. in carding department of woollen mill, or in carding section of a wool combing establishment or department. an overlooker q.v. in charge of card room where wool or hair is opened out; adjusts carding machines. a foreman in charge of card grinders (364) q.v. frame overlooker (card room); an overlooker q.v. in charge of carding department where work is done upon frames, of which there are many varieties. an overlooker q.v. in charge of gilling section, preliminary to drawing; specially ensures that there is even admixture of worsted fibre passing through gill boxes. the principal carder where an under-carder q.v. is employed, or where there are several carders; is in control of whole carding department. 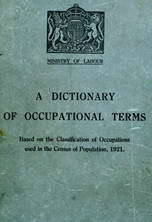 is in charge of a carding, combing, drawing or preparing department of a textile factory, or of some section thereof; is responsible for setting and running of machines, and often himself adjusts them and carries out necessary repairs thereto; is responsible for quantity and quality of output of machines in his department or section; usually engages and discharges workers; often further distinguished according to department e.g. card overlooker, combing or comber overlooker, drawing overlooker. is in charge of preparers (363) q.v. and is responsible for keeping preparing machines in efficient working order. an overlooker or carding engineer q.v. who is in charge of several sets of scribbling machines, i.e. first of three carding engines in series; sees that machines are running properly and is responsible for work turned out; adjusts fate of feed and supervises general working of machines. an overlooker q.v. responsible for working of speed frames or fly frames, i.e., particular kinds of carding machines. assists carder q.v. in superintending operations in card room, and generally also operation of scutching, stubbing, roving, etc. ; adjusts machines and does minor repairs to them.